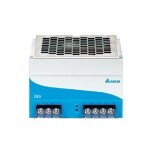 The new CliQ DRP024V240W3AA is the latest offering from one of the World’s No.1 Power Supply Company. 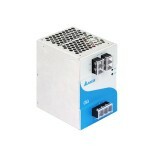 The new CliQ DRP024V240W3AA is the latest offering from one of the World’s No.1 Power Supply Company. 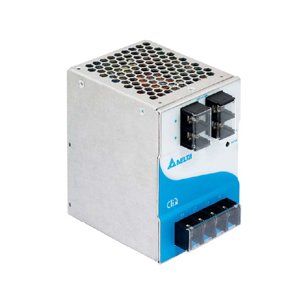 The product offers a nominal output voltage of 24V, a wide temperature range from -20°C to 75°C and a minimum holdup time of >35ms@ 3 x 400Vac.The state-of-the-art design is made to withstand harsh industrial environments. The rugged, compact design aluminium case is shock and vibration resistant according to IEC60068-2-6. 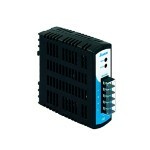 The 240 watts CliQ DIN Rail power supply provides over voltage, overload and thermal protection. Due to the wide input voltage range from 320 to 575Vac, the Delta’s CliQ power supply is worldwide usable, multiple output terminals for fast wiring and easy installation.